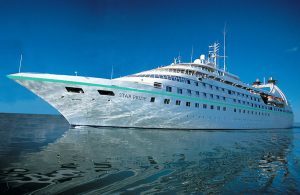 For the next eight days follow my Twitter and Instagram feed from Windstar Cruises Star Pride as she sails from Lisbon to Barcelona . Have a question? Tweet me or post a comment below and I’ll do my best to answer as quickly as possible. Filled Under Blog, gallery, Tripblog, Twitter, What's New?